In an American study of Franz Messerli, труды которого опубликованы в авторитетном журнале New England Journal of Medicine говорится, that the number of Nobel laureates in a country depends on the average number of chocolate, consumption per capita. Franz Messerli proved, that the more a country eat chocolate, the more likely, that the Nobel Prize went to her representative. According to Messerli, if you compare the top list of countries with the people with a sweet tooth, the same list of Nobel Prize winners, then they will be almost identical to the entry list. It is worth noting, Russia is not included in any of them, U.S. and hang out in the tenth position. On the first five were Austria and Switzerland, as well as representatives of Scandinavia - Denmark, Norway and Sweden. The study took into account Messerli data on Nobel Prize winners 2011 year inclusive. The scientist stressed, that it was in his study is a dark chocolate, which, known, is most useful in quality. It is produced from cocoa beans, containing magnesium. Dark chocolate has a positive effect on the operation of the human brain, improves memory and immunity. 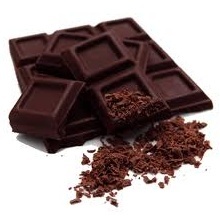 Moreover, dark chocolate is a good way to prevent, Cold and helps fight obesity. Dark chocolate also contains biologically active substances, prevent the formation of blood clots and, as a consequence, occurrence of cardiovascular disease, heart attacks and strokes. Contained therein tianiny have antibacterial properties, and antioxidants help fight aging. Doctors have long argued, that cocoa beans must be contained in the diet of each person.